The Crawford has just opened a watercolour room and there are some lovely pictures there which I have never seen before. Not entirely relevant to this post but at the moment there is a great exhibition on cubism as well – Mary Swanzy is a revelation to me; I thought her pictures were really lovely [I’m sure that ‘really lovely’ is the kind of accolade the cubists would have liked]. 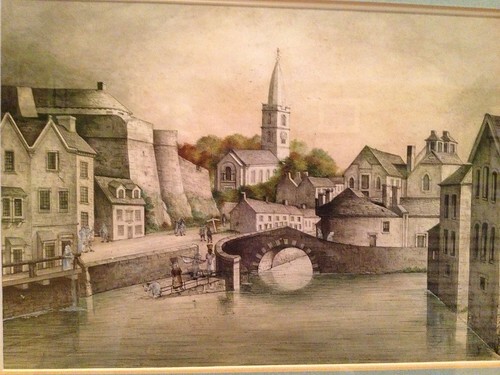 The picture by John Fitzgerald dates from 1796 and is described as “Old Saint Finbarr’s and Elizabeth Fort”. Very recognisable, I think, although the old Beamish and Crawford site on the right [now closed down] is obviously not from the 1790s, Elizabeth Fort is still the same and even though the cathedral got rebuilt in the 19th century, it’s still in the same spot. 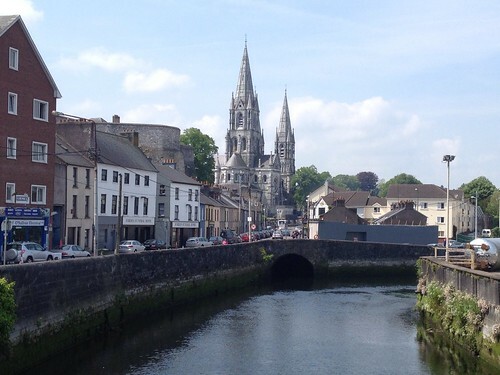 Now, let us consider one of the great architectural travesties visited on Cork. 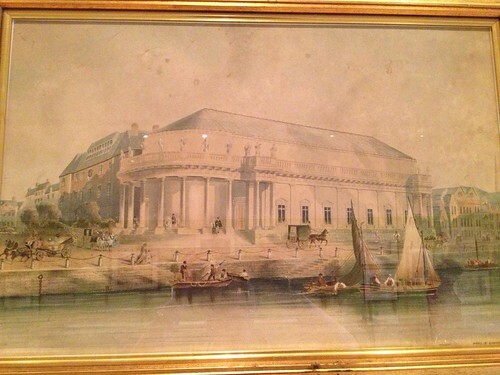 This is a picture of Cork Opera House before it was burnt down. It has actually improved since I was a child as then the side facing the river was an uncompromising brutalist plain wall. It has been somewhat relieved by the addition of a glass window over the river and glass cladding at the front but it is still, to my eyes, quite spectacularly ugly. 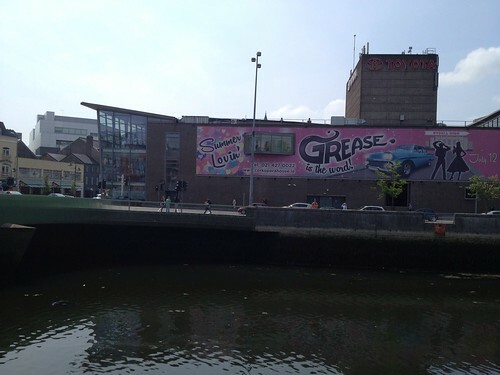 To be fair, I assume that the 1960s architects did not realise that their clean lines would be disfigured by the addition of a large poster for Grease and the Toyota ad on the roof [a permanent, unlovely feature]. Enough Cork architecture for today.